Catherine Taskis is a property litigation specialist with experience in a wide range of landlord and tenant and real property disputes, with a particular emphasis on agriculture. 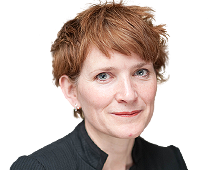 Catherine has practiced since 1997 as an advisor and advocate, appearing in the Court of Appeal, the High Court and County Courts, and in specialist property tribunals. She has regularly acted in agricultural arbitrations. In 2013 she was appointed as a Deputy District Judge. I am the co-editor of the quarterly Woodfall Landlord and Tenant Bulletin; assistant editor of Muir Watt & Moss, Agricultural Holdings, 14th edition; and a contributor to the Agricultural Land section of the Atkin’s Court Forms. I have published articles on property-related topics in a number of legal publications including The Landlord and Tenant Review, the New Law Journal and the Agricultural Law Association Bulletin. I speak regularly on property law issues and in 2011 I delivered a Blundell Memorial Lecture on the subject of residential service charges. I have advised and represented parties in property arbitrations and in claims arising from such arbitrations, including challenges to arbitral awards in court. I have acted in a number of mediations, and frequently in agricultural arbitrations under the Agricultural Holdings Act 1986 (in particular in respect of agricultural succession, as in Monkman v. Mitchelson ALT/Y/S/59 (2009)). As a judge, I am accustomed to dealing with and determining both procedural and substantive disputes. I have considerable experience of effective case management; of rapid assimilation and analysis of detailed material; and of making clear, well-reasoned and informed decisions.